The morning dawned with an extremely thick layer of fog as the Team Fun club gathered at Carbon Connection for their next big adventure. Today would be our toughest climbing challenge yet for the Advanced squad, adding two forks onto our previous challenge including Double Peak. 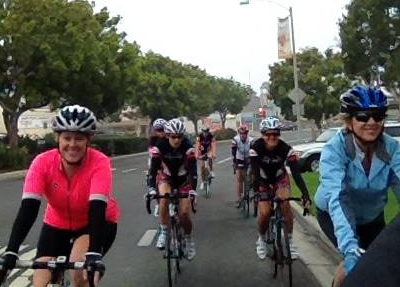 The Beginners would be equally challenged with a direct route up the long Faraday slog, out to summit San Elijo. While riding in the fog can sometimes be disorienting, we were at least grateful for the cool temperatures on our warm up climb. 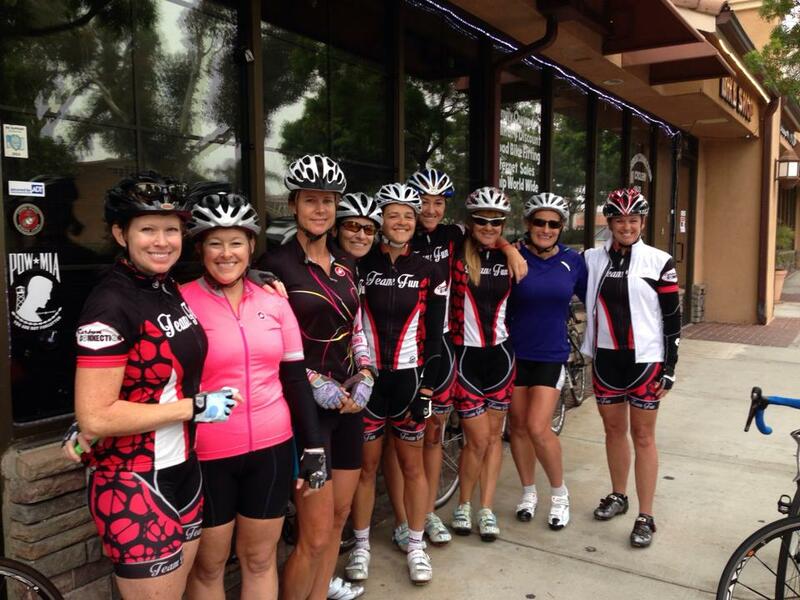 At the start of the ride, we welcomed two new riders to the club, Tammy and Lynn, and also were thrilled to see our edgy yet comfortable Team Fun kit on three more team members. 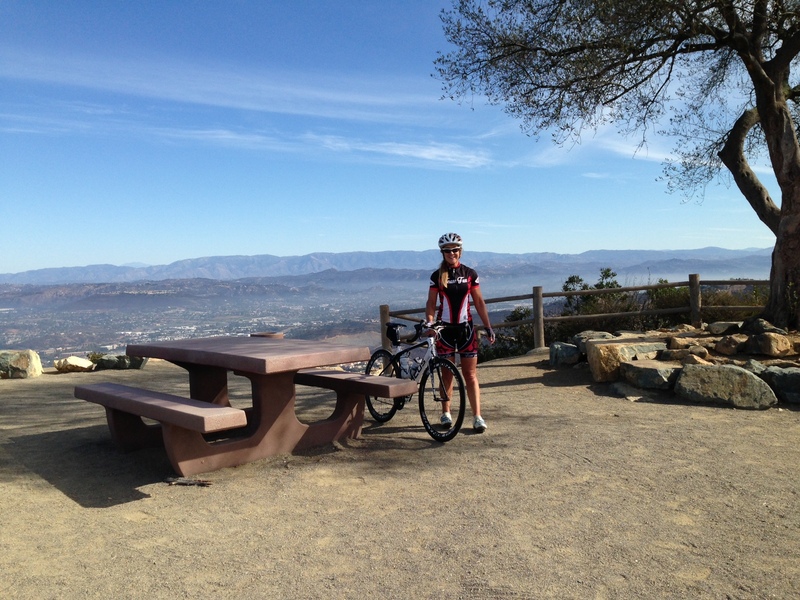 About halfway up Faraday, the jackets and vests were unzipped; on Melrose, the arm warmers got ripped off; then on the start up San Elijo, with the sun having burned off the fog completely inland, any other non-essentially clothing item was ditched – and the climbing was on. Since I was the leader of the Advanced Ride, my story will depart here. 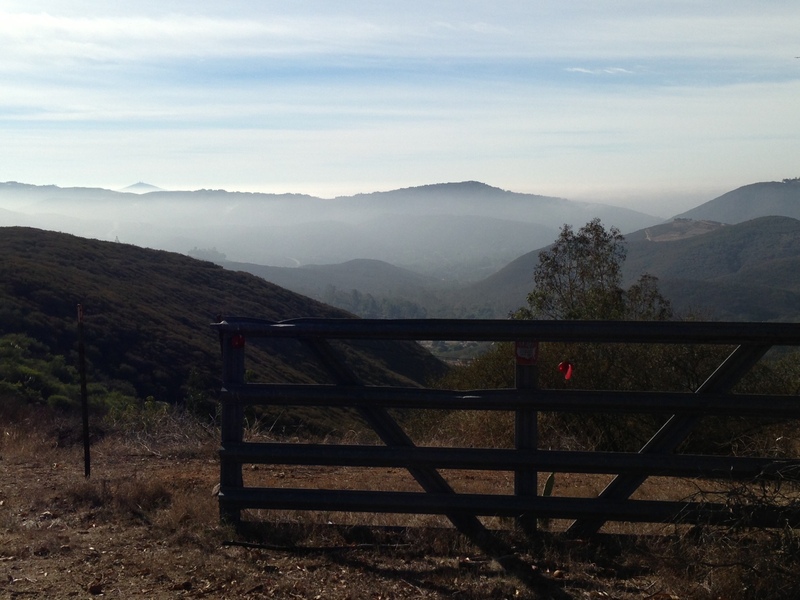 With a right turn on Questhaven about 1 mile from the summit of San Elijo, the real adventure was about to begin. About a mile down Questhaven, after you outride the reaches of the last suburban neighborhood, you come upon a sharp upturn to the left called Attebury Road. There are quite a few signs here saying things like, “Private Road”, “Not a Through Road”, etc. You notice the road is suddenly much more pot-holed, and then your leader says, “This is where we’re going.” You hope she knows what she’s doing. Fortunately for my team mates, in this case I did in fact know what I was doing. I lived at the far end of this road in a rental house for a full year, schlepping my bike up the at-some-points 20% grade to make it back to my house after any little ride I wanted to take (builds character). This little niche is on the borderlands of one of the closest stretches of undeveloped land you can find this close to the coast. Makes for a fantastic little detour: ponds, twists and turns, sudden steep pitches, and eclectic houses. 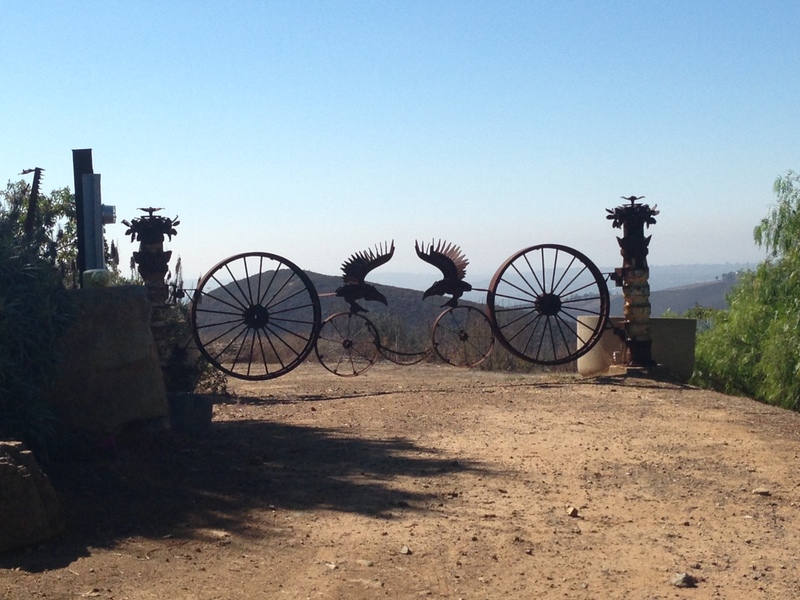 At just around 1.3 miles one way, it’s a great diversion from your normal San Elijo climbing fests. With roads like “Deadwood Drive” on the route, how could you go wrong? View in the direction of Elfin Forest, part of the way up Deadwood Drive. After a little refueling, we headed back down the winding road, up through some back neighborhoods to the top of San Elijo road. 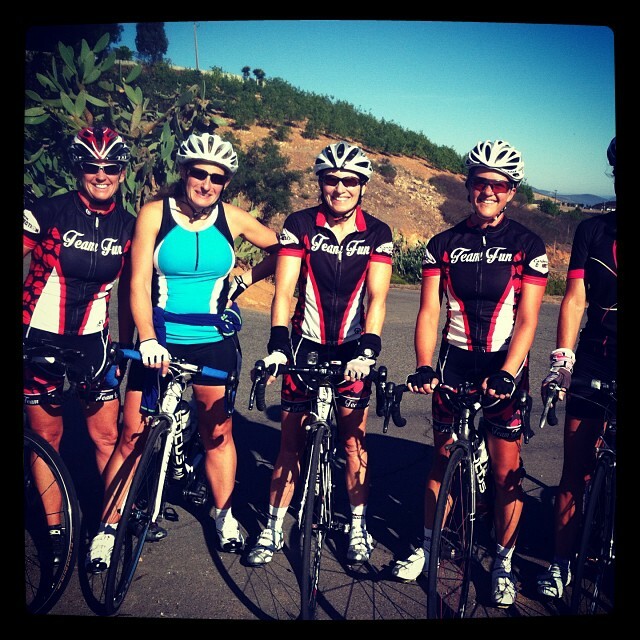 We waved to Kim and Lynn as they descended San Elijo, with lots of words of encouragement shouted into the air. 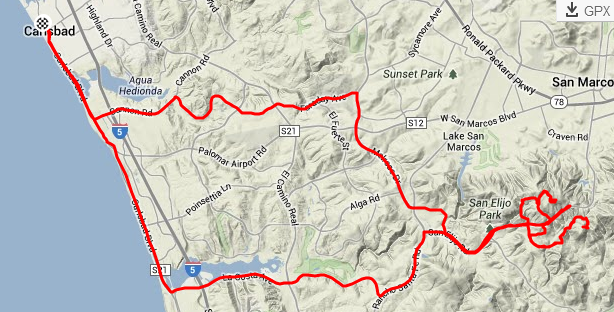 We had one more challenge ahead of us: the newly created connector road from Wild Canyon up to Double Peak Park. 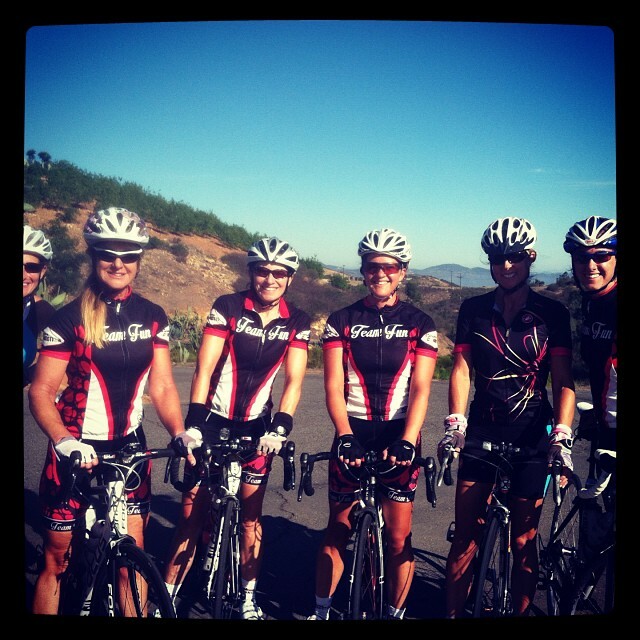 These women were more than up to the challenge! With another snack, we were ready to take it back down toward the coast for our final push. Once we hit the PCH, we took it down a few notches, enjoyed some conversation, and spun it out back to the shop. It was quite chilly once we returned to the coast, and I for one particularly enjoyed my almond milk latte at It’s a Grind. Nothing feels like finishing an amazing challenge!